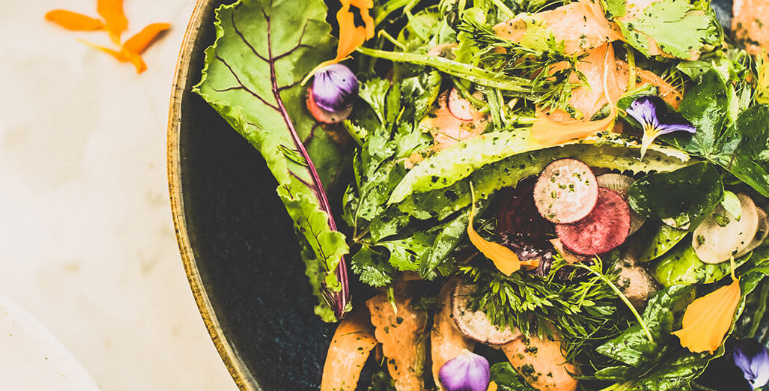 The salad: A favourite at Werf Restaurant: mix together foraged salad leaves and sliced baby carrots with beetroots, radishes and mange-tout, with Rozendal Vinegar (or any vinegar with fruit notes) and herb dressing. The wine: Our 1685 Sauvignon Blanc 2018, with its melange of tropic fruit flavours, notes of fig and zesty, mineral finish. The salad: Create a simple and delicious concoction of baby gems, broad beans, coriander and sour cream. The wine: Our 1685 Chardonnay 2017 pairs beautifully with this salad, due to its cinnamon and lemon notes and buttery character from barrel fermentation. The salad: Grill asparagus and leeks with garlic then toss with freshly squeezed lemon juice, parmesan and chick-wheat (you can also just use chickpeas if making chick-wheat is too much effort) dressing. The wine: The Boschendal 1685 Chenin Blanc 2018 is your bottle, with its white peach elegance and intriguing suggestion of lime. Look out for lingering stone fruit and toasty nut notes.